How Much Does a Part Time Real Estate Agent Make Each Year? If you’re thinking about taking on real estate as a side gig, you’re probably wondering what a part time real estate agent income is. Your projected earnings will obviously be a significant deciding factor in your decision to start a real estate career. 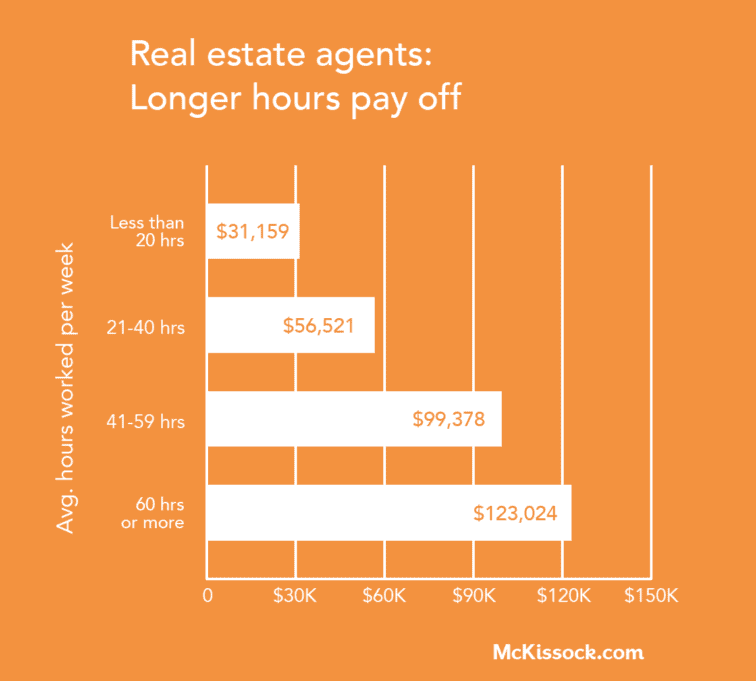 How much you earn as a part time real estate agent can depend on some factors, not just the hours that you work. However, there is some research that will give you a general idea of what you can expect to earn if you decide to pursue real estate part time that you can use to plan. In our recent survey of real estate agents across the country, we discovered, perhaps unsurprisingly, that agents who work more extended hours tend to earn more than those who don’t. Agents who work less than 20 hours a week make about $30,000 a year. Agents who work between 21 and 40 hours a week — still part time — earn about $56,000 a year. If you’re looking for supplemental income, or for a job that will help you pay the bills while still providing flexibility, it’s possible that you could earn enough for your budget with a side gig as a part time real estate agent. However, the number of hours you work isn’t the only factor in how much money you make. FREE Guide: Earn more with our 2018 Real Estate Agent Income Guide. Our same survey revealed numerous other factors that influence how much you can earn as a real estate agent. The stronger your market, the more likely it is that you’ll make top dollar as a part time real estate agent. Based on our latest survey, we found that the state with the highest average real estate agent income was Virginia. There, the average income for a full-time real estate agent is over $100,000. You can check out the top ten list of states to see where yours falls on the list. It’s true — your happiness can play a significant role in how much you earn. 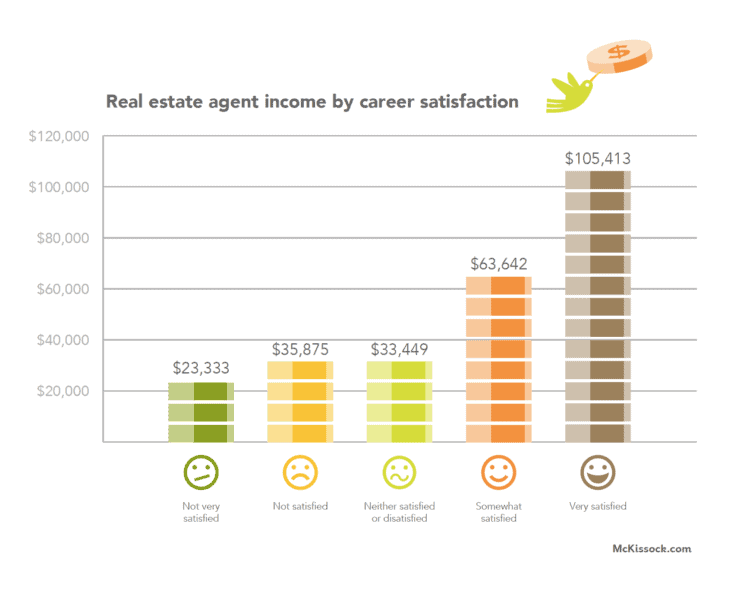 Our survey found that agents who are satisfied with their jobs earn about 4.5 times more than others. That’s why it’s important for real estate agents to watch out for burn out. Sometimes, all it takes are continued and positive mental habits to turn your satisfaction levels around. 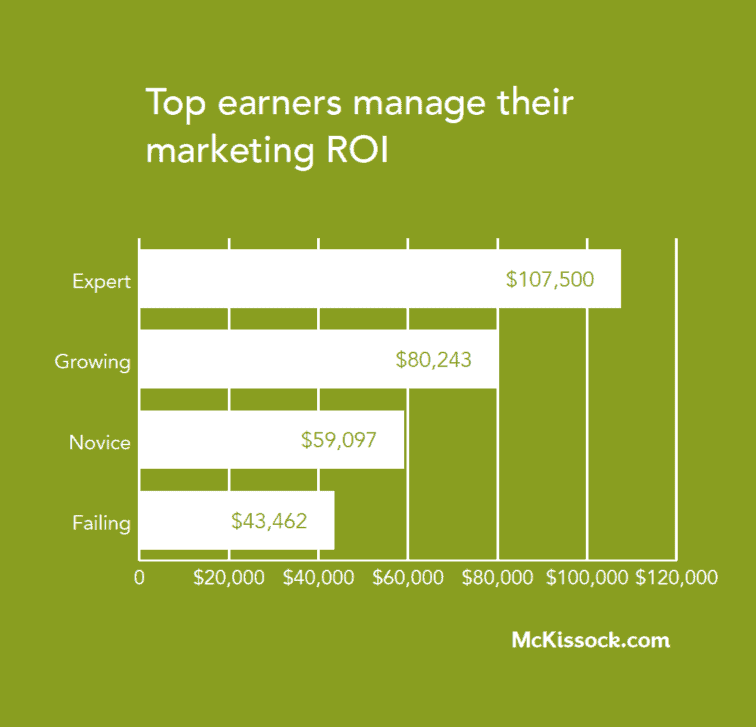 It goes without saying that your niche can have a significant impact on your earnings, but are you aware to what extent? 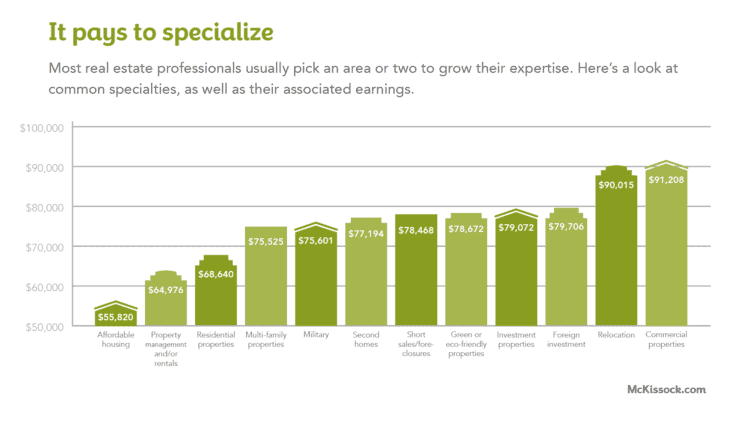 Our survey asked real estate agents in 12 different specialties to reveal their earnings. As a part time real estate agent, choosing a niche could have an even greater impact on your earnings since you won’t be putting in as much time as agents who work 40 hours or more a week. If you’re looking for maximum impact for your time, think strategically about your niche before you commit to it. Keeping track of your marketing dollars can significantly impact your part time real estate agent income. Agents need to spend money to find clients, list properties, show listings and so on. However, every marketing expense should be carefully tracked and assessed for the ultimate value it brings to your business. 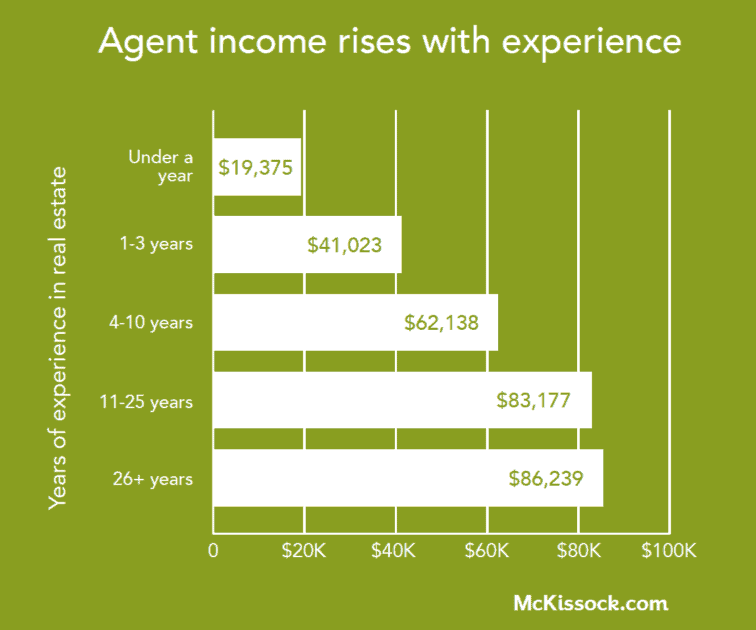 Our research shows that agents who excel in this area earn about $64,000 annually than those who don’t. Gaining momentum in real estate takes time, and as a part time real estate agent your initial income might be sparse, but our research indicates that agents see significant and consistent gains in their pay the longer they stay in the business. 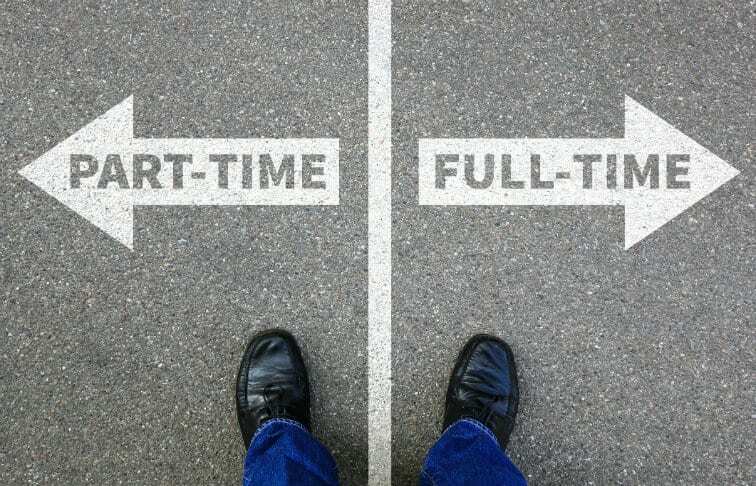 Is a part time real estate career right for you? Knowing how much money you’ll make as a part time real estate agent can be essential in discovering if it’s a path you want to pursue. If you’re looking for a side gig in real estate or a way to keep busy without committing to a full-time career, you might find fulfillment in being your own boss and helping people find their dream homes — which is something every real estate agent gets to experience.